Family of 5 moving to Australia from Nebraska…..and I have no idea what a wallaby is…. 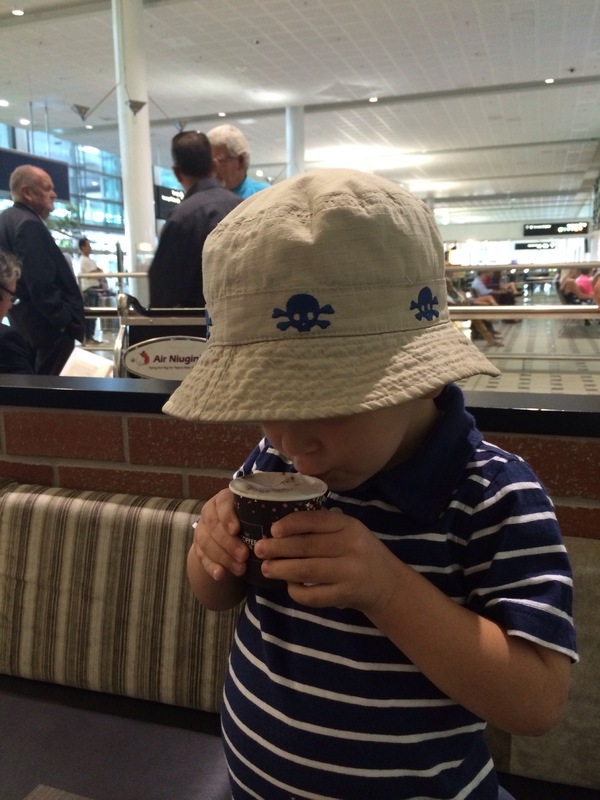 Cooper at the airport, sipping coffee, waiting for grandma Kathy’s plane. This entry was posted on Tuesday, February 4th, 2014 at 7:45 am	and posted in Uncategorized. You can follow any responses to this entry through the RSS 2.0 feed.